Like the grizzly Manxman on the Pequod I was born ‘in the little rocky Isle of Man’. I confess that neither have I his ‘preternatural powers of discernment’ nor was I ‘taught….by the old witch in Copenhagen’. But I can spot a salmon or a stereotype on a good day at 20 paces. Apart from a few thousand other grizzly Manxies (Stereotype 1), to me, everyone else in the world is foreign and wherever I step off the Island I am, to everyone else, a foreigner. The Island had its multicultural age when Sandi Toksvig’s marauding horn-hatted Viking ancestors (Stereotype 2) established an Irish Sea marauding HQ on the Island. In 2011 I provided a specimen of my DNA to a researcher at Leicester University in the hope of finding that I was a direct descendent of ‘Orry the brave and rugged good-looking Dane with the big stash of gold‘. The last news of the project was that the researcher had taken maternity leave and since then not a word of my right to the crown of Denmark. There is a legend of Spanish blood arriving on the Island via an Armada shipwreck but mostly the Island was populated from the adjacent Islands by foreigners, drunken Glaswegians (S 3), Irish builders (S 4), Liverpool drug dealers (S 5) and English tax dodgers (Fact 1). At the 2011 census less than half of the population were born on the Island. The island has a scutch of Chinese restaurants and a brace of fine Indians but that was as worldly as I remember. 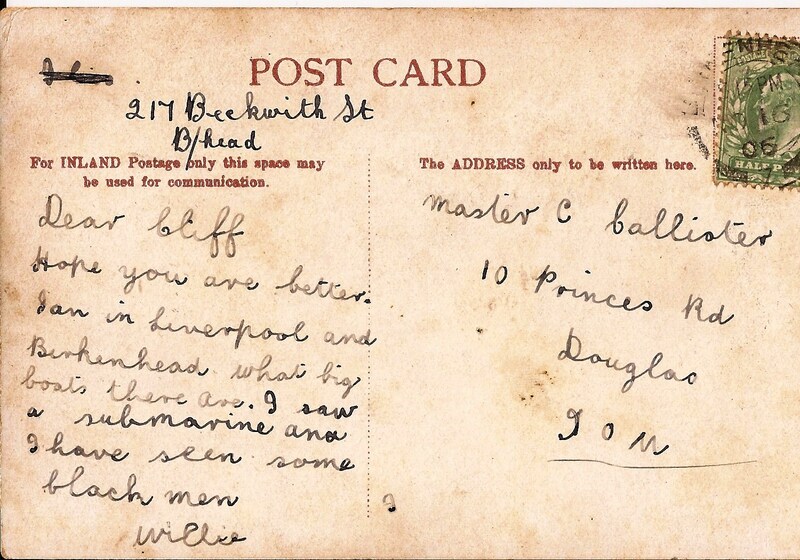 This postcard sent by my grandmother’s brother on his first visit to England in 1906 illustrates his first multicultural experience. …I am here in Liverpool and Birkenhead what big boats there are. I saw a submarine and I have seen some black men. 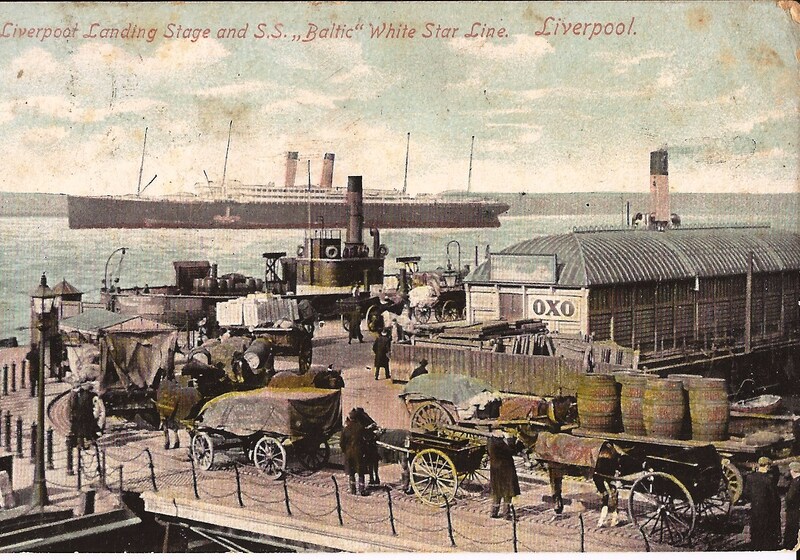 Liverpool Landing Stage and the S.S. “Baltic” White Star Line. Liverpool. Although the Island provided many sailors to ships, real and fictional the Island has rarely been attractive to or even known by those from distant lands and South of Runcorn the Isle of Man quickly becomes the Isle of Wight. I once received a support proposal that suggested an installation on the Isle of Man could be ‘easily supported from our Southampton office’. In the 70’s some British colonial “when Is” (S 6) arrived from India, Uganda and Rhodesia with their tales of ‘when I shot the last tiger in the Punjab’ and other daring-done, but they never amounted to more than a small retiring boatload. In the last ten years there has been a wave of white South African refugees but not enough to rename Castletown, Cape Town. People watching at the German Flohmarkts and French Puces has been a part of my multicultural further education. Although only separated by the ditch the collecting stereotypes on the French and German banks are very different. The housewives (S 7) of southern Germany have a penchant for collecting French shabby chic and they buy at Flohmarkt stands in Germany that are laid with white linen table clothes decorated with enamel pots and wire baskets recently spirited across the border from sleepy Alsace flea markets. The ghostly white stands appear to be powdered with chalk dust and each item is neatly overpriced with a handcrafted hanging tag. 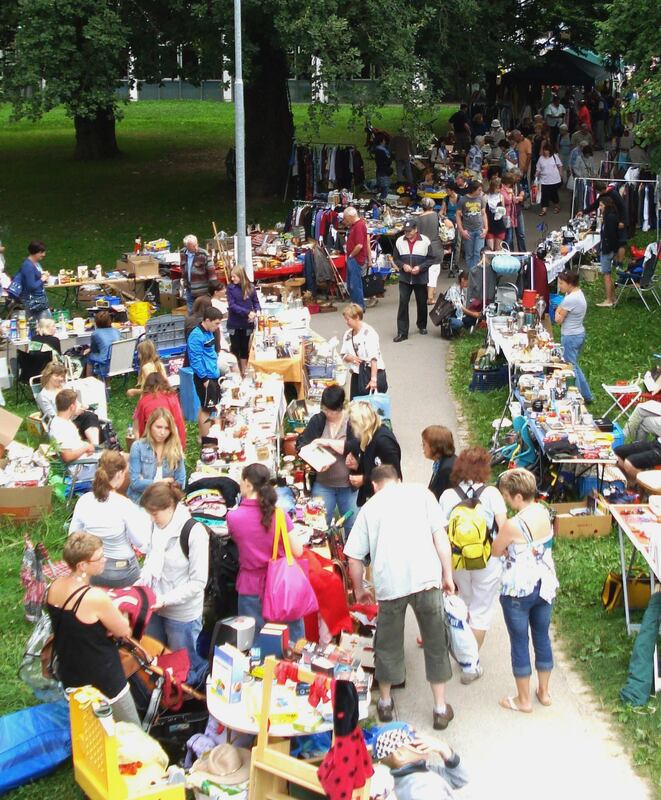 The extent to which the British enjoy collecting old stuff became clear to me when I discovered that a short distance away in Germany there is a land largely free of the antiques, vintage and retro collecting addiction. In February I visited three bookshops in Germany. One was a town bookshop the other two were three storey city book emporiums. In the first shop I naively asked for the section on antiques and collecting. The assistant took me to meet one sad and lonesome anorexic book on old clocks. The other two bookshops did not even have this blemish on their stock. 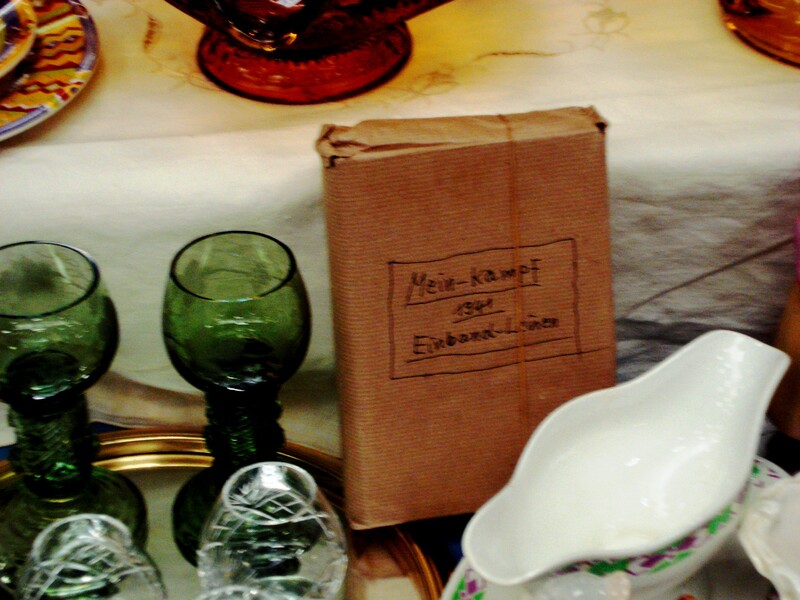 The men aged 40 to 60 who are of German descent (S 8) do have one vintage interest at the flea markets, Schallplatten. They crowd round the boxes of 70’s and 80’s vinyl and seem to have an insatiable appetite for 8 and 10 Euro LPs and in particular progressive rock and heavy metal and are eager to buy the Zappa and Zeppelin LPs that they too hastily replaced with children, CDs or both. Germany prohibits the spreading (sale) of Nazi memorabilia. This is one of the few laws that is widely disregarded in this part of Germany at least. 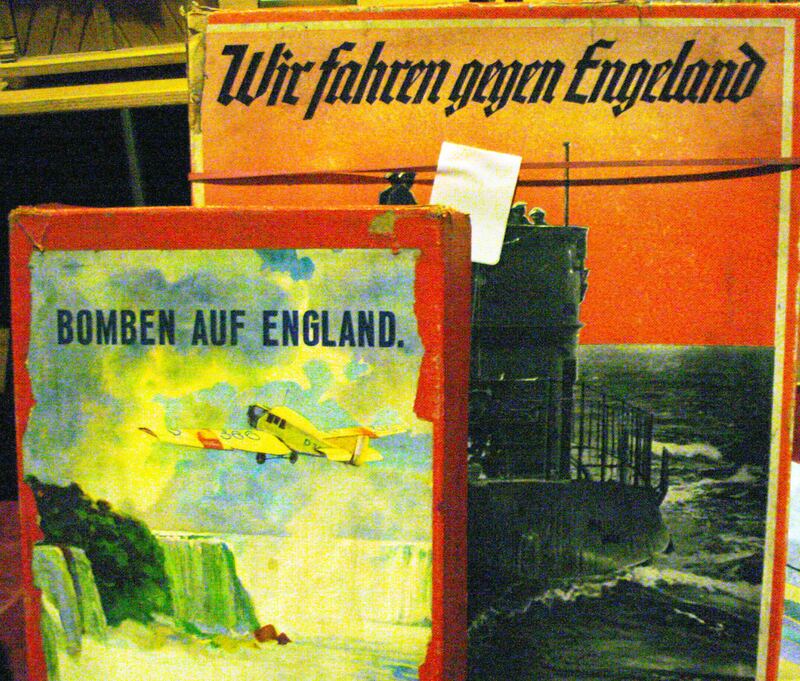 Any group of men of German descent (S 9) crowded round a stall that isn’t filled with old records are quite possibly grovelling through the sometimes half-heartedly hidden ‘memorabilia’. There are many Germans of Turkish descent (S 10) and they have zero interest in records or memorabilia. They zoom in on any box of jewellery, the more entangled, unsorted and unloved the better. They will carefully examine every necklace, bracelet, locket and earring for a chance find of gold or silver. Their thoroughness and persistence indicate that they must meet with success from time to time. Across the border France has its own collecting stereotypes. The keen-eyed Frenchmen (S 11) are obsessed, until precisely 12.00, lunchtime, with the details and nuances of champagne cork tops, pin badges and postcards. The obsession is usually long over for the day by the time lunch is finished at 4 ish. Mulhouse has many French of North African descent. The men have their special interest, power. 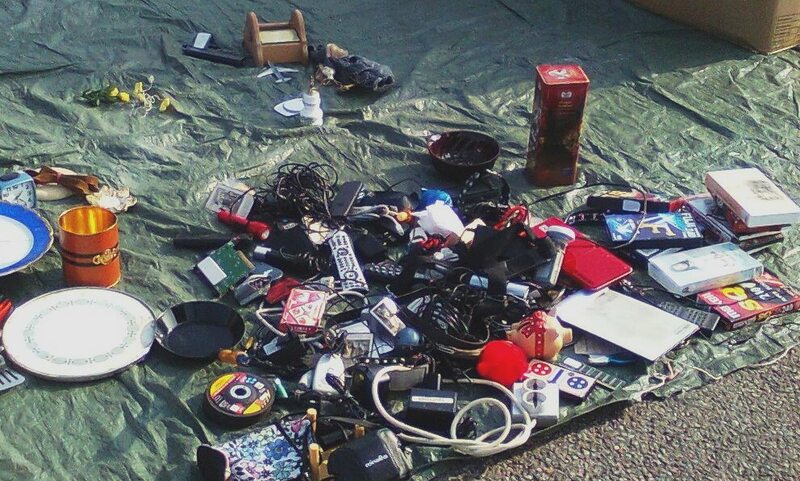 They collect electrical devices, cables, transformers, connectors, phone chargers, mobiles, in fact any electrical device is fair game for this stereotype (S 12). The long dressed and scarfed women (S 13) have their own speciality, pots and pans. A particular danger of these markets is the risk of being impaled by pan handles that stick out at knee height from their over-filled tartan coloured two-wheeled shopping trolleys. But it can be the Manx collecting stereotype (S 1) that is the most afflicted. When I asked a Manx farmer why he had collected so much old machinery in his farmyard he replied that he kept everything for twenty years and if it had not come in useful by then he kept if for another twenty. Being a foreigner wherever I go means that I find an easy familiarity with those stereotypes whose roots are not deep in the land where they have made their home, but I have given up trying to explain to those I meet where exactly in our world the ‘little rocky Isle of Man’ is, the only rock on which I am not a foreigner. 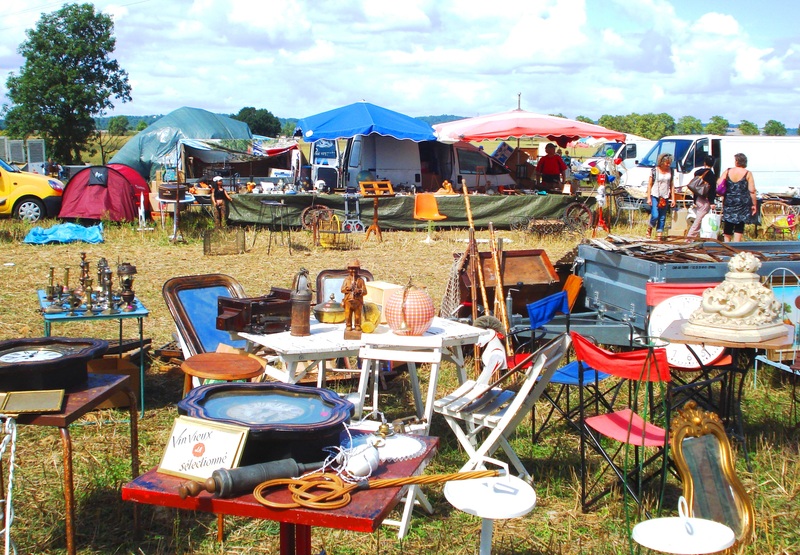 This entry was posted in Deutschland, Flea Markets, France, Germany, Isle of Man and tagged Alsace, Breisach, flohmarkt, German, German humour, humour, kitchenalia, puces, Rhine, stereotypes, Travel, vide grenier. Bookmark the permalink.